The world is full of amazing, beautiful, and deeply cultural cities. We have had the good fortune to visit a lot although most days I wish it were even more. Can you believe we haven't been to Hong Kong, Rio, or Buenos Aires yet? Me either! Now to be honest, cities are not really our thing. My husband and I both grew up in a really small town in the North West hills of Connecticut and although I always enjoyed our NYC trips as a kid, the country has always held a lot more allure. That being said, as we have traveled around the world, we now see great value in cities and even though we will probably never live for an extended period in a city we have found that we absolutely adore many for a long visit. Here are our favorite cities in the world, in no particular order, as that would just be far to difficult. We were fortunate enough to visit Sydney last year in April. Nearly everything about our stay was perfect. The weather, the people, the sights....everything! Sydney is a great city to explore. It feels very safe, has a great ocean vibe, and so many lovely green spaces that sometimes it didn't feel like a city at all. Each neighborhood was vastly different than the next giving a really diverse feel even though I would not call it any type of melting pot. It is an expensive city so that factored into us not staying very long, but the time we did spend has us still itching to return nearly 2 years later. As I said before I spent a lot of time in NYC as a child since we lived so close. I also made a point of taking my children there as well at least 4 times a year from the time they were born. There is a vibrancy that you can just feel in the air a soon as you arrive and I find myself craving that every year. In New York you will find green spaces, amazing graffiti, trendy expensive areas, artsy hip enclaves, and so much more. The sights are outstanding, the dining is world class, and don't even get me started on the bagels or the pizza...YUM! The iconic skyline and Broadway alone make it an excellent place to spend time. But if you really want to experience the best that NYC has to offer do yourself a favor and plan a trip in December. Christmas is the time that NYC really comes alive, you can ice skate in Rockefeller center, shop at FAO Schwartz, browse the first class shops on 5th ave, enjoy a carriage ride through Central park, or attend midnight mass on Christmas eve at St. Patrick's cathedral. Do some or do them all and you'll be in the Christmas spirit in no time. Add a little snow and you truly cannot find a better Christmas spot! 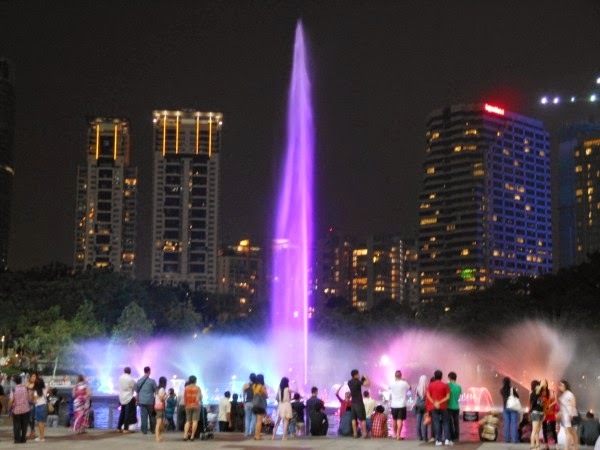 We had the pleasure of spending over a month in Kuala Lumpur, Malaysia. As a family traveling through Asia we found this to be an amazing city. It may be a more expensive city than places like Bangkok or Siem Reap but what you get is so worth it (and it's not nearly as expensive as Singapore, which did NOT make my list). After travel through Asia for over a year it was great to be in a modern mall, eat at Chili's and enjoy playground after playground. We were busy every day with one fun thing after another, it is a great spot especially if you are traveling with children. See my top 10 post for families here. It has been years since I have been to London, but during my 3 month long European trip, London was by far my favorite city of the area. We stayed in London 2 different times and each trip was amazing. The London city suites we found were amazing and plopped us right in the heart of the city making exploration that much easier. Of course there are many iconic tourist spots to visit, and you must do all of them, but it's the pulse of the city that really struck a chord with me. It is extremely diverse, perhaps even more so than NYC and that in turn leads to amazing culture, and numerous food options. The other part of London that I enjoyed was the outdoorsy vibe. The city is littered with lovely parks and the evening landscapes, particularly along the river Thames, is top notch. Portland is a city that I have not spent a huge amount of time in but that speaks volumes to the fact that it made our list anyway. As we arrived through the beautiful forest I could tell the state itself was someplace I could easily call home. When we landed in Portland for a week we were amazed at how easy and green it was. Transportation is clean and super easy, just about everything in the center of the city is trendy and/or just flat out adorable, the food is amazing and completely diverse, the people are really sweet, everything is unique and it just feels like everyone is making something or contributing in a refreshing and new way. All in, it is just the hippest city I think i've ever been in! Follow our adventures on Facebook, Twitter, and Instagram!